The millennial temples of Angkor with their monumental architecture, infinitely fine bas-reliefs, enduring spiritual significance and complex irrigation system constitute one of the most impressive success stories of the World Heritage Convention. The symbol of a whole nation, the 400km2 site lay fallow in the early 1990s. While monks continued to pray at many temples in the site, impoverished villagers would cut off pieces of statuary from their walls and sell them for a pittance. Some time later, these pieces would fetch steep prices on the international art market. Since then, Angkor, inscribed on the World Heritage List in 1992, has become a force of economic growth for Cambodia, illustrating the power of culture to boost development. It has also become a trail blazer for innovative heritage conservation worldwide. The intangible gain for the people of Cambodia who have seen their heritage restored and appreciated by the whole world cannot be underestimated, especially in the light of the suffering they endured during 25 years of conflict. Threats to the site in the early days, led to its inscription on the Danger List where it remained for ten years. 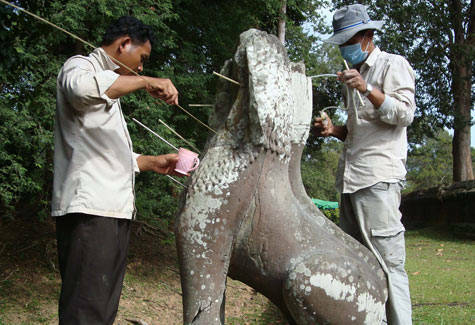 Meanwhile, the Cambodian authorities, UNESCO and the international community established the International Coordination Committee for Angkor (ICC-Angkor), which in turn established the National Authority in charge of the Angkor Archaeological Park, APSARA. The Authority put in place measures to fight looting and undertook urgent restoration and safeguarding measures. This work, conducted in close cooperation with UNESCO, has been crowned with success, Making Angkor a Mecca for World Heritage travellers from all over the world. With an average 25% growth in the number of visitors every year, the site is expected to attract 4 million tourists in 2014. But hordes of visitors slowly erode the steep sandstone steps of Angkor Vat, the largest and most famous temple of the site, which were once only climbed by officiating priests. 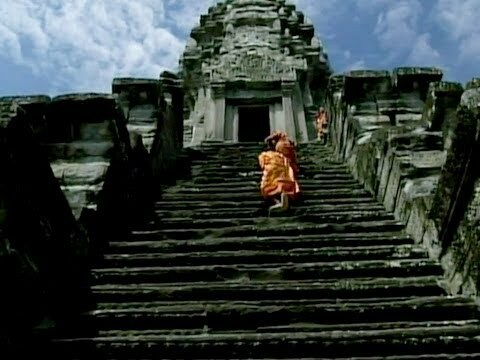 They use the often time beautifully sculpted blocks fallen off unrestored temples such as Beng Melea as stepping stones for exciting and potentially dangerous climbs. Rewarding though these perilous walks may be, they expose the stone to accelerated wear and tear more destructive than centuries of abandon. 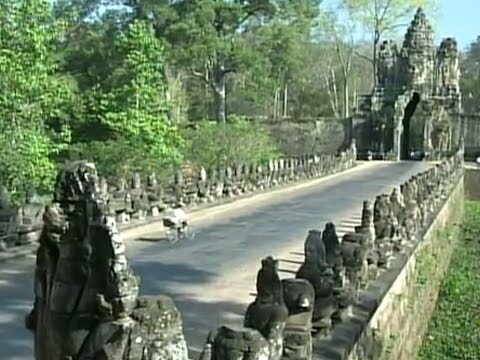 The rise is in tourism has been met by a growth in the population living in the archaeological park of Angkor. It has risen from 22,000 in 1992 to 120,000 in 2010. The Cambodian authorities and UNESCO consider that the development of the site must involve this population, which should also reap its fair share of revenues generated from tourism. At present, residents make their living from firewood collecting, rice cultivation, or employment work within the APSARA Authority. The authorities of the park have been working on several projects to improve the sustainable development of villages on and near the park with international assistance from a large number of countries. Determined to include the local population in all phases of development around the World Heritage site, APSARA has developed a consultation mechanism for each project with a steering committee that includes representatives of the private sector, local residents and the Buddhist clergy which is very active in the site, some of whose temples retained their religious activity through the centuries. 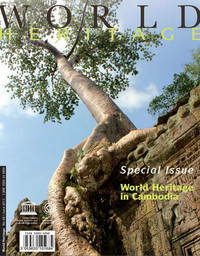 But pressure on the World Heritage does not only come from the population living in Angkor. Money from tourism has also turned Siem Reap, the once sleepy provincial capital which borders on the World Heritage site, into a boom town with new hotels being built at the rate of knots, countless new guesthouses, shops, cafés, restaurants and more. All these people use water, most of all those tourists who enjoy splashing in hotel swimming pools. To make matters worse, the peak tourist season occurs during the dry months. Water is therefore pumped from the underground water table and as underground reservoirs get depleted, the sand on which the temples are built dries up and becomes unstable. Because the ancient temples were erected without underground foundations, walls collapse and parts of the fabled edifices that draw visitors and settlers to the site collapse. Architectural maintenance and restoration work therefore remains on the agenda, and satisfactory techniques have yet to be identified to prevent damage to the countless friezes, reliefs and other ornaments that account for the delicate beauty of the edifices. They are eroded and discoloured by pollution, bats droppings, and vandals whose ranks include not only those who break off ornaments for profit, but thoughtless visitors who let their backpacks scrape the surfaces of walls. Managing tourist flows, is a major priority of the ICC-Angkor, which celebrated its 20th anniversary in December. 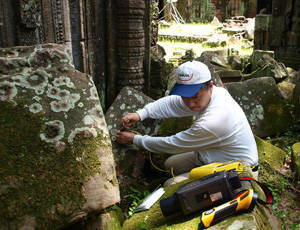 But this exemplary heritage preservation body, which is chaired by France and Japan and brings together donors and experts from all over the world, is also determined to continue fostering restoration and archaeological research in the site, training local preservation professionals, and ensuring sustainable development in the strategy adopted for the decade ahead. Despite all the difficulties facing Angkor, its vitality makes it a model for the management of a huge site that attracts million visitors and sustains a large local population. The fact that such a massive project could be implemented in poor country that had just emerged from a quarter century of war and blood-letting, bears testimony to the tremendous potential of the World Heritage Convention and international solidarity.